Enter our indoor forest and you enter a magical land, where you can meander through the trees catching falling snow and bubbles along the way. 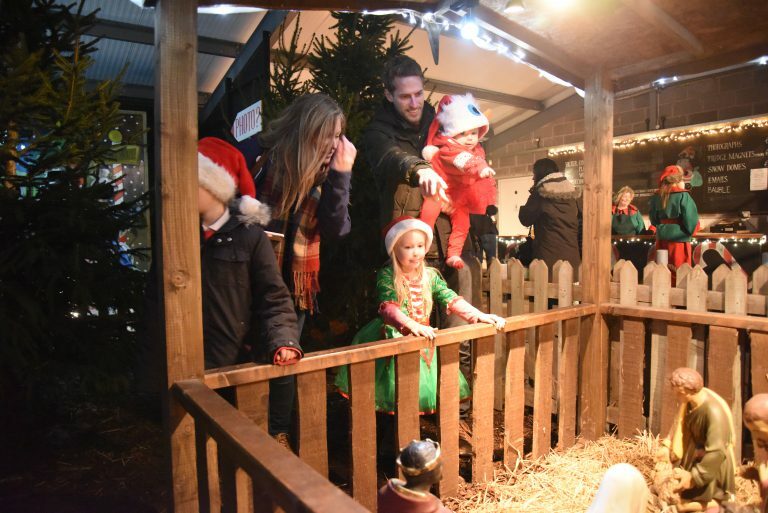 Stop to see our Nativity, stroke our Reindeer who will be waiting to meet all the visitors and then receive a magic coin. Next you will find the Magical Wishing Well where you can throw in your coin and make a wish before going on to meet the Elves and enter the Grotto. 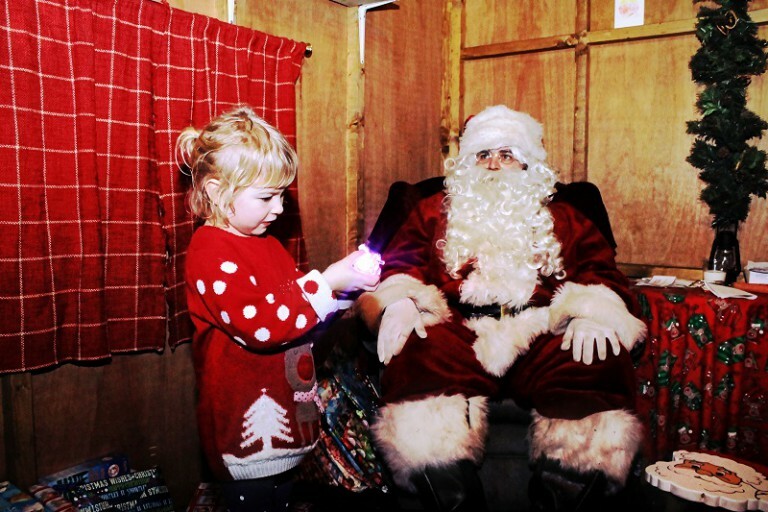 Here you’ll find Santa sat next to his fire cheeks all aglow waiting to meet all the children, a gift for all…..
We have a modern heated barn which we have partitioned into areas where children can chalk on the walls, dress Christmas trees, write letters to Santa or just sit on the straw bales and have a picnic. We have a face painting stand so all the children can be painted for free(and parents if you wish). 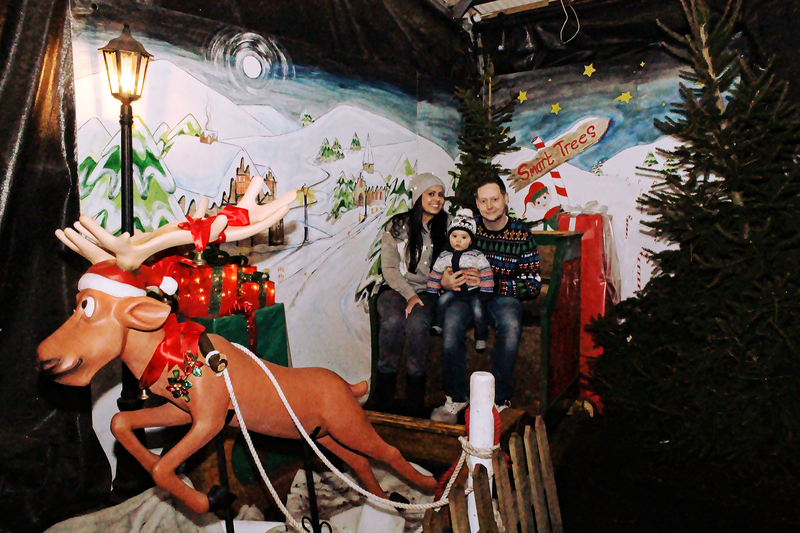 Once through the Grotto why not choose from a variety of fun photo memorabilia to capture your Grotto memory forever. Meanwhile you can sit back and enjoy a coffee before making that all important decision.............The Tree! 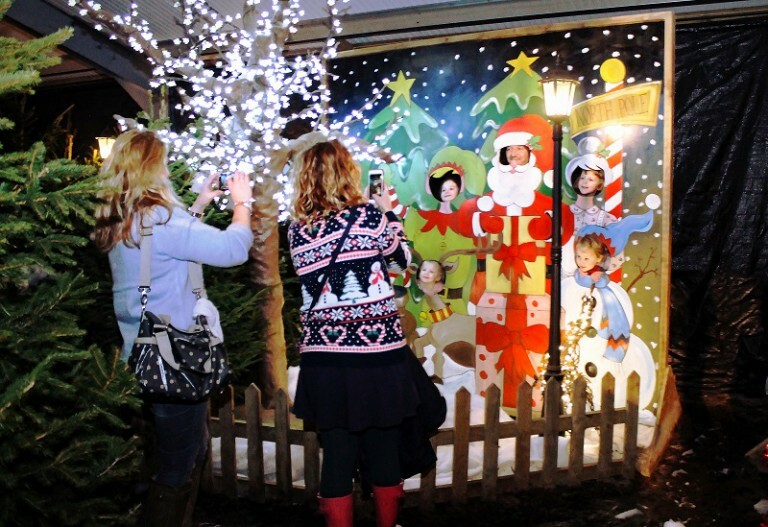 Our grotto has a fixed camera installed to give you the opportunity to purchase a photo to remember that special moment forever. Fridge Magnets, Snow Globes, Key Rings, Photo Frames & Digital copies available. 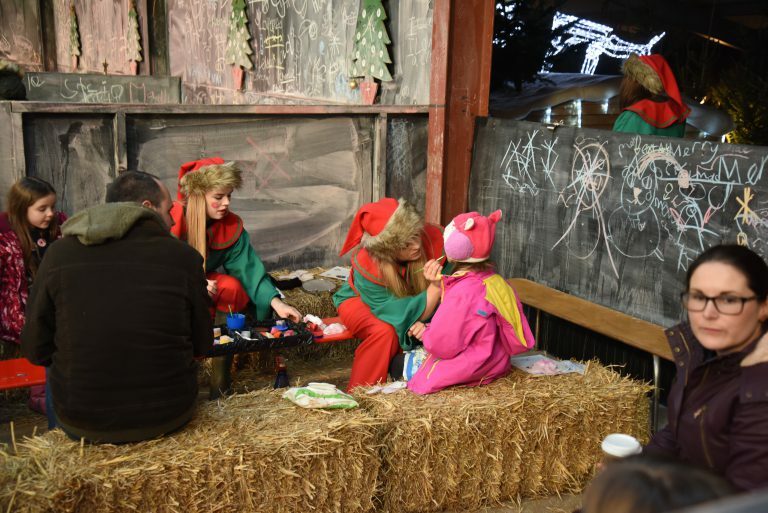 Santa's Elves are not only skilled in making toys, they also love painting children's faces. If you love painting, why not let the children paint a Christmas bauble (additional charge) and have a lovely keep sake for the tree. If you have any questions check out our Frequently Asked Questions page or contact us at grotto@dev.smarttrees.co.uk.